Defra has published a consultation on how the UK government would like British farming to move away from the Common Agricultural Policy, replacing it with a new policy for the future. 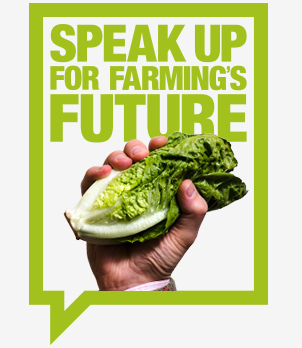 The consultation will run for 10 weeks until the 8 May and the NFU is organising a large number of events across the country to help members respond. The consultation paper itself, plus annexes and supporting documents runs into hundreds of pages. The NFU Brexit team has therefore produced two initial summaries: one short version set out below and a second, more in-depth summary document that includes the questions Defra poses for consultation. This can be found here (you will be asked to log in). Defra’s consultation can be split into three main sections: transition away from the CAP, the new policy that will replace it and development of the wider policy framework. Throughout these three sections many issues close to the heart of farming are mentioned and ways of tackling them described. However some, such as international trade and the workforce, are only very briefly covered, whereas others such as animal welfare and the environment are explored in more detail. It’s also important to bear in mind that the vast majority of these proposals is a vision for English agriculture alone as agriculture policy is a matter for devolved governments in other parts of the UK. Defra’s opening position is largely critical of the existing CAP (despite successive reforms). It launches straight into the case for moving away from the CAP and its objectives. The central feature of the Government’s plans during what it describes as an “agricultural transition” is to reduce the level of Basic Payment Scheme (BPS) payments and recycle the money saved to invest in other areas such as the environment, animal welfare and business investments. Defra plans to administer payments in 2019 in mainly the same way as now with some potential simplifications – this both for BPS and rural development programme schemes such as Countryside Stewardship. However, once Defra is “free of the CAP” as they put it (a point in time not yet defined by EU negotiations on Brexit) reductions to payments will commence. Defra is proposing to reduce the BPS to some or all farmers for a number of years until no BPS payment remains. Eligibility criteria for payments may change and the speed of reduction is not yet decided. Details on how reductions could be applied are in the longer briefing. The money saved will be used to run trials of new policy approaches, invest in businesses competiveness, as well as finance a new environmental land management system from 2022 onwards. It’s worth remembering that the overall budget is secured until 2022, but that government has made no commitment to the total level of funding available to support farming beyond that point. The paper is clear that this is the “cornerstone” of the new policy and the most important public good. A very broad definition of “environment” is used, the objectives are wide ranging, but Defra recognises that farmers are central to delivering these. Policy could support actions to improve soil health, water quality, air quality, increase biodiversity, mitigate climate change and enhance beauty, heritage and engagement with the natural environment. The main way of delivering these goals will be through Environmental Land Management schemes (ELMs). There could be several of these, but split into two main categories: widely accessible programmes to all types of landowners that are simple and similar to current and previous stewardship schemes, and more complex schemes that require more intensive and precise management. A Natural Capital approach will be fundamental to their design and payment levels will be based on “fair reward”, though compliant with World Trade Organisation rules. Apart from these ELMs, there will also be support for capital grants for investments in “sustainable production” and there will be a clear regulatory baseline of environmental standards in place, with more of a focus on the “polluter pays” principle. The paper states that better health and welfare is linked to improved productivity and profitability. However Defra is also clear that animal welfare standards in the UK are world leading and therefore does not plan on necessarily raising regulatory standards. Rather the new policy could support targeted investment for farmers to go even further in improving standards and better share livestock data to verify this. There will be strong regulations and programmes to control and manage animal and plant disease outbreaks to keep biosecurity in the UK high. Plant protection products are noted as important to maintain plant health and production and their use will continue to be strictly regulated. There is indication of more support for new technologies and processes related to breeding of plants and animals that could also bolster animal and plant health and welfare. Investment to enhance farm productivity and competiveness is seen to be a public good inasmuch as it allows the achievement of other public goods delivered by farming. Policy initiatives to achieve this good are described in more detail for implementation during the transition. However it is understood that many of these would be relevant to future policy too. Future policy could therefore fund the uptake of innovative technologies; new business models; skills and businesses training; continuous farmer learning; facilitating “research syndicates” to better disseminate new findings and supporting investment in a domestic workforce and automation. There is recognition that farming in particular areas differs in what it delivers and how natural constraints limit how businesses can operate, yet this should be valued and supported. This includes culturally important landscapes, unique environments and high quality food with specific provenance. The paper therefore suggests there is a need for a “clear vision” for the uplands and other similar areas with specific policy formulated to support them. In wider rural areas, other measures to support opportunities, employment and growth in rural communities will be put in place, including investment in high speed digital connectivity. The countryside is seen to provide a valuable amenity to the British public and economy in the form of attracting tourism, the film industry and recreational activities. Moreover the health benefits it provides are seen as public good too. Policy that supports landowners to maintain public rights of way is suggested and there is a mention of the importance of initiatives such as Open Farm Sunday. Risk management and resilience: Defra recognises that farming is exposed to many risks such as crop failures, disease and market volatility that are a fundamental threat to long-term business viability. However, the paper is less clear on government’s role in tackling this. There is an intention to explore how government can support the creation of market-led initiatives such as insurance programmes and futures markets, and there is commitment to public support for times of severe crisis. Improving market data and in particular examining how mandatory price reporting could be implemented are stronger commitments made by government. Fairness in the supply chain: the paper suggests policy measures that could improve farmers’ position in the food supply chain. This includes encouraging more collaboration among farmers in the form of cooperatives and producer organisations with the right competition law to support them; greater transparency and fairness in pricing through potential new codes of practice; and maintaining and strengthening the role of the Groceries Code Adjudicator. It also proposes to investigate whether providing greater clarity of information to consumers could support higher welfare production. The final section of Defra’s consultation outlines how the vision for England will sit in a wider framework for the UK. Core principles are described with the two main aims on ensuring that the UK internal market continues to function effectively and that the UK can agree trade deals with new partners as one country. With regards to international trade, Defra will pursue a policy that will provide for consumers, protect standards of food quality and safety and provide greater opportunities for UK producers to “export our brand” of high quality food. The paper draws to a close with a brief outline of the Agriculture Bill to be laid in Parliament later this year the powers it would give to the UK government to implement a new policy.